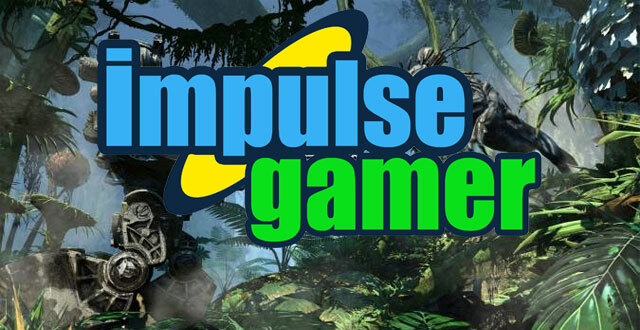 We’ve recently launched the “New” Impulse Gamer at www.impulsegamer.com which is bigger and better than before! 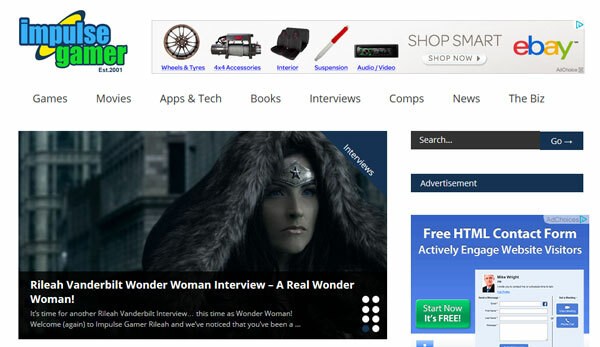 This area is now part of our Legacy Area (old news and reviews) and if you’re looking for all the latest reviews, news, interviews & more, please visit www.impulsegamer.com. Sydney 26th September – This epic CGI production by the legendary Visual Works studio of SQUARE ENIX, shows the opening introduction sequence to the forthcoming game LIGHTNING RETURNS: FINAL FANTASY XIII. The world of Nova Chrysalia has only 13 days until total annihilation, with the citizens of four distinct regions each experiencing the end of the world in unique ways. In Yusnaan, the setting for this sequence, the inhabitants have a hedonist frame of mind: if the world is going to be destroyed soon then why not go out in style? LIGHTNING RETURNS: FINAL FANTASY XIII is scheduled for release across Australia & New Zealand on February 13, 2014 on PlayStation 3 and Xbox 360. Warner Bros. Interactive Entertainment today released an action-packed video for Batman™: Arkham Origins featuring gameplay from the playable Deathstroke challenge pack, including a sneak peak at the “100-to-1” gameplay mode. The Deathstroke challenge pack, available to those who preorder the game for PlayStation®3 system, Xbox 360® video game and entertainment system from Microsoft, Wii U™ system or Windows PC, includes a fully playable Deathstroke character, two exclusive challenge maps and three unique Deathstroke character skins. Watch the trailer for Batman: Arkham Origins Deathstroke challenge pack here. Batman: Arkham Origins is the next installment in the blockbuster Batman: Arkham videogame franchise and will be available for the Xbox 360®, PS3™, the Wii U™ system, and Windows PC. The game will release worldwide Oct. 25, 2013 along with Batman: Arkham Origins Blackgate™ for Nintendo 3DS™ handheld system and PlayStation®Vita handheld entertainment system. 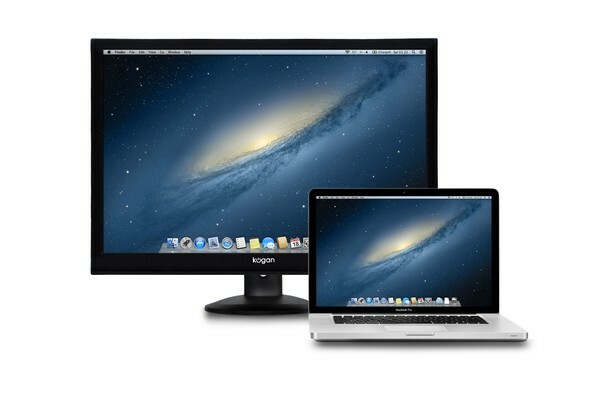 Melbourne, Australia, 26 September 2013 – Online retailer Kogan.com has taken the wraps off a huge new Kogan 30″ Cinema Display WQXGA IPS LED Monitor featuring a resolution four times sharper than HD. At just $699, it is a fraction of the price of comparable monitors and LED screens from the bigger brands, and is sure to be a hit with movie buffs, graphic designers, tech lovers and gamers. Kogan designs, manufactures, and delivers this monitor, cutting out all the middlemen and keeping the cost as low as possible. The Kogan 30″ Cinema Display WQXGA (2560×1600) LED Monitor features IPS technology which provides viewers a super fast 7ms response time to enjoy sharp, clear images. A large array of inputs including DisplayPort, HDMI, USB, VGA and DVI, gives users the freedom to connect their PC, Mac and other peripheral devices to the monitor. The Kogan 30″ WQXGA (2560×1600) LED IPS Monitor also ships with a fully adjustable stand capable of 270 degree swivel, height adjustment of 150mm and a landscape/portrait locking system. Sydney, Australia– September 26th 2013 – Leading video games publisher and developer NAMCO BANDAI Games Europe S.A.S. today announced the release of PAC-MAN Championship Edition DX+ for the first time ever on Steam. Additionally, as a gift to all fans that already purchased PAC-MAN Championship Edition DX, a free title update for Xbox 360® games and entertainment system from Microsoft, PlayStation®3 computer entertainment system and Windows® 8 is also available to match all the upgrades brought by this new enhanced version. PAC-MAN CHAMPIONSHIP EDITION DX+ upgrades one of 2010’s most celebrated downloadable titles with improved leaderboard functionality, a refined user-interface to compare high scores with friends and new in-game achievements and medals pushing the challenge one step further for the most addict fans. Players will chomp through bright neon mazes at blistering speeds in this modern and frantic PAC-MAN experience. Wake up the ghosts, form the longest train of pursuers and chomp as many as you can at blazing speed to beat the score. And never forget to manage you a way out using your skills or you will have to force an escape route with your bombs! PAC-MAN CHAMPIONSHIP EDITION DX+ is now available for download on Xbox 360®, PlayStation®3 system, Steam and Windows® 8. Other exciting PAC-MAN titles, like PAC-MAN MUSEUM will also be coming to Europe and Australasia this winter via digital download on XBLA, PSN, Steam, and the Nintendo eShop. PAC-MAN and the Ghostly Adventures will be available on Xbox360®, PlayStation®3 system, Nintendo Wii U™, Nintendo 3DS™ and Steam. Arm yourself with weapons of legend to defeat underpants gnomes, hippies and other forces of evil. Discover the lost Stick of Truth and earn your place at the side of Stan, Kyle, Cartman and Kenny as their new friend. Succeed, and you shall be South Park’s saviour, cementing your social status in South Park Elementary. Fail, and you will forever be known… as a loser. In addition, the South Park: The Stick of Truth Grand Wizard Edition, a must-have for any self-respecting South Park fan worth his weight in cheezy poofs, will also be available on the 12th of December and features a trove of mystical items from the deepest reaches of South Park to aid you in your quest to acquire the Stick of Truth and rid the realm of evil. Unlock the ultimate fellowship with the one pack to rule them all! Choose your class and pick your perk with four exclusive Stick of Truth costumes that come equipped with special abilities. Suit up as the Necromancer Sorcerer to increase your fire damage, earn extra gold by equipping the Rogue Assassin outfit, deal extra weapon damage with the Ranger Elf costume, or raise your defence with the Holy Defender outfit. The choice is yours, New Kid. Seize the Kingdom of South Park! We are humbled and overwhelmed by the response to Grand Theft Auto V – literally overwhelmed in the case of some of our servers! We sincerely hope you’re enjoying your visit to Los Santos and we know many of you have plenty of questions about Grand Theft Auto Online. 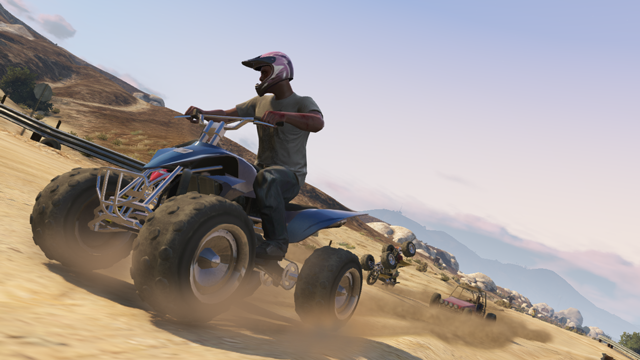 First, we thought it would be useful to provide some details of the roll out of GTA Online, and how we hope you will be involved in making the game everything it can be. 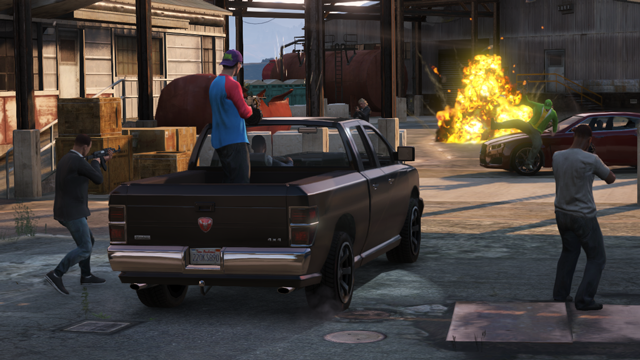 GTA Community Feedback Needed from Day One This is vital for the ongoing success of the game. 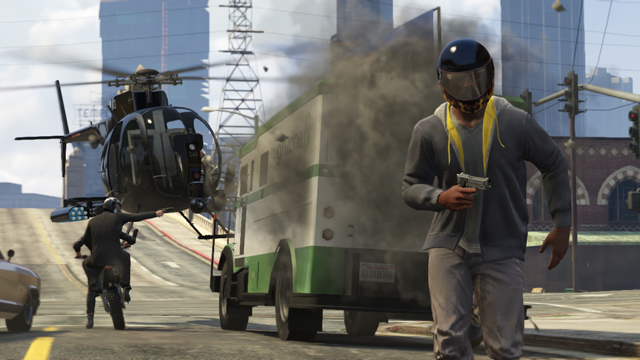 The first few months of Grand Theft Auto Online will be critical as everyone enters this dynamic new world for the first time. Plenty of issues are bound to occur. Remember this interesting character? One thing we are already aware of, and are trying to alleviate as fast as we can, is the unanticipated additional pressure on the servers due to a significantly higher number of players than we were anticipating at this point – we are working around the clock to buy and add more servers, but this increased scale is only going to make the first few days even more temperamental than such things usually are. This is part of the problem some of you have been experiencing with the iFruit App and some Social Club services – we apologize in advance for this and thank you for your patience in this area. 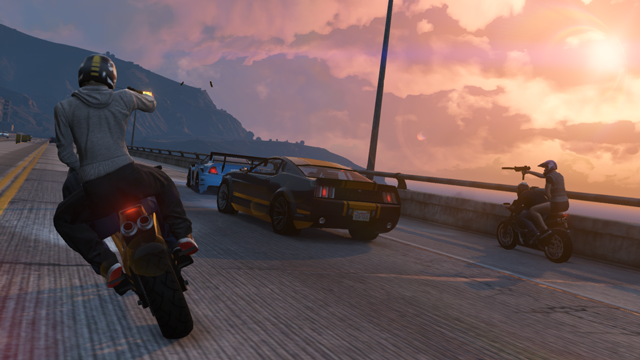 GTAOnline@rockstargames.com: This email address will be active from launch day as a place to send your input and feedback direct to us relating to the game. Here’s a rough overview of what you can expect on day one as well as initial details about how the GTA Online world will evolve from there. 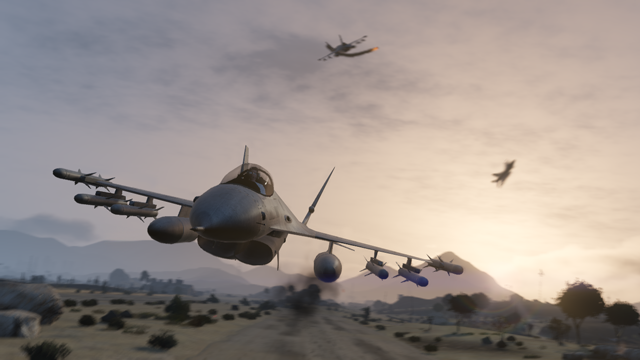 Currently Planned GTA Online Content Updates: Here is a quick overview of a few initial things we’re working on for the first few weeks of Grand Theft Auto Online, alongside an aggressive period of tuning and finessing the game. We will give you dates for all of this content as soon as we have them – bear in mind that the order of things may well change, and we will probably add some extra stuff as well! Just to be clear, all of these updates will be free. We’ll have more info on this and much more additional content as our plans develop through the launch period, and as we get feedback from you. Please stay tuned for further info and updates. And remember – we need your help to make this experience all it can be. Christopher Nolan’s reimagining of the Batman franchise beginning with 2005’s Batman Begins enjoyed phenomenal critical and box-office success. Now on November 13, Nolan’s three Batman films – Batman Begins, The Dark Knight, and The Dark Knight Rises – will be released by Warner Bros. Home Entertainment as The Dark Knight Trilogy: Ultimate Collector’s Edition. The six-disc set will feature all three films with their existing extra content, two new featurettes and exclusive new collectible memorabilia. This must-own collection for fans of DC Comics’ Caped Crusader is available in premium packaging and will sell for $139.95 RRP. 26th September 2013 – A packed line-up of games awaits attendees of this year’s EB Games Expo 2013 in Sydney from October 4 – 6 at the Sydney Showground. With some of the biggest upcoming titles and something for everyone to enjoy, Nintendo’s booth at the expo is your destination for fun right throughout the weekend. With an exciting array of up-coming titles on the booth, get your hands on titles for the Nintendo 3DS family such as The Legend of Zelda: A Link Between Worlds, Sonic Lost World, Professor Layton and the Azran Legacy and for the first time ever in Australia – Pokémon X and Pokémon Y, the new evolution of Pokémon coming to the Nintendo 3DS family of consoles on 12th October. Also on show for the first time will be Nintendo 2DS, the brand new member of the Nintendo 3DS family also launching 12th October! Playable on Wii U will be a variety of highly anticipated software including titles from some of Nintendo’s famous franchises such as The Legend of Zelda: The Wind Waker HD and Super Mario 3D World. For the first time in Australia, fans will also have the chance to get hands-on with Wii Party U and Donkey Kong Country: Tropical Freeze. The Nintendo booth will be the perfect place to enjoy all the StreetPass and multiplayer functionality of Nintendo 3DS, so make sure to bring your console for some multiplayer fun and enjoy all your favourite Nintendo 3DS titles like Animal Crossing: New Leaf, Fire Emblem: Awakening, Monster Hunter 3 Ultimate, Luigi’s Mansion 2 and Mario Kart 7 with other Nintendo fans. Pokémon fans who bring their copy of Pokémon Black, Pokémon White, Pokémon Black 2, or Pokémon White 2 will have the opportunity to get their hands on a Shiny version of the Legendary Pokémon, Giratina in the last of three legendary character distribution events in celebration of the launch of Pokémon X and Pokémon Y.